"My nose looks absolutely beautiful!!! He had to basically reconstruct it from a flat bridge, wide tip to one that has shape and definition. I hated my nose since childhood, and had a very low self- esteem related to this. Now I can see my wonderful profile in the mirror and be so proud. He put so much time and energy into this, and he was wonderful throughout the whole process. All of the staff was knowledgeable and compassionate. I cannot say enough great things about my experience." - J.N. "Dr. Portuese is awesome!!! He is very straightforward and honest. People would be doing themselves a disservice if they did not get their surgery done by him. Cosmetically it has made a major difference for me. I am very pleased." - L.H. "The whole experience made me very comfortable with planning a cosmetic surgery, having it, and then a superb follow-up care. The office staff was always flexible in handling any request I made in scheduling appointments based on my busy schedule. A very thorough explanation from the time of my first appointment to my release from surgery made it an enjoyable experience. The Anesthesiologist allayed my fears with their instructions and the nursing staff was not only great but made it a fun experience as well. I have been very happy with my final results and would recommend it to anyone." - M.D. "At work a customer asked me how long I had been working, I responded, '...for several years...' she was surprised and said that I did not look that old! This was great to hear since I work in an industry with very young women and I was only three weeks out from my surgery. It was the 'sugar' I was looking for. The office staff, nurses, and Anesthesiologist were informative, helpful and very professional. I have been very pleased with my results." - A.M.
"Very, very pleased with the outcome. The staff were all informative, able to answer my questions and offer support before, during, and after my surgery. 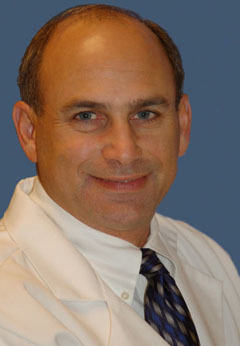 Dr. Portuese has created a comfortable facility and I am extremely pleased with the success of my surgery." - M.N. "The minute you walk in the staff is warm and friendly. Everyone there was informed, genuine, and pleasant. The environment was impeccable. The care from beginning to end was more than satisfactory. I felt safe and comfortable at all times. What a great experience." - M.M. "Even my husband, who did not really want me to have the surgery, notices a difference and tells me how good I look. Now the rest of my siblings are considering surgery. I am so glad I did this." - V.S. "The staff are always professional and informative. I was well prepared. The nursing staff was outstanding and the Anesthesiologist was marvelous. He was very professional, calming and answered all of my questions. Dr. Portuese did a wonderful job and I am extremely happy. I recommend him to all of my friends." - E.H.